Seasoned equity traders that want to initiate risk by speculating on the direction of an index are familiar with the benefits of trading an ETF (exchange traded fund). ETFs are securities that hold other securities, but have stock like features allowing an investor to enter and exit the market, whenever the market is open. Prior to the introduction of ETFs, investors who wanted to take index or sector positions used mutual fund which generally allowed traders to enter and exit the security at the close of a session. Recently forex brokers introduced CFDs on ETFs which allow their clients to track an index or sector with leveraged capital. Choosing a platform that provides its clients with ETF trading, can allow you to expand your trading opportunities. Exchange traded funds (ETF) are constructed as trust securities that hold other securities. For example, an ETF can be all the stocks in the S&P 500 index, or stocks that are in the financial sector. There are ETFs that hold commodities such as gold and oil, as well as, ETFs that track the direction of a currency pair. ETFs are managed by companies that constantly buy and sell securities in an effort to consistently track their benchmark. If an index changes, for example, the S&P 500 removes 2-companies and adds 2-companies, the ETFs will have to swap these securities to continue to track the large cap index. What Kind of Strategies Can ETFS be Used for? An alternative strategy that can be used is a pair trading strategy. Here you would purchase one ETF and simultaneously sell another ETF. For example, if you believed that the technology sector would outperform the Energy sector you could purchase the XLF ETF and simultaneously sell short the XLE ETF. This is considered a market neutral trade, as trade is based on relative performance as opposed to the outright direction of a market. What Type of Platform Should You Use to Trade ETFs? 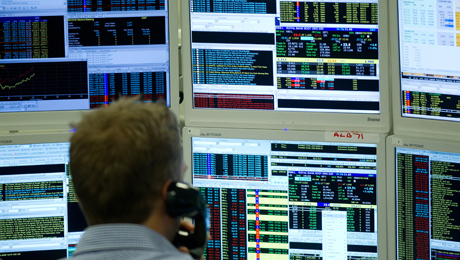 The best platforms provide their clients with a broad number of ETFS, which generate many trading opportunities. Look for a broker than has ETFs from many different countries, that track indices all over the globe. Forex brokers that concentrate on ETF trading, provide contract for differences on their ETFs allowing traders to take leverage bets on ETFs.